At the Center of Spine and Orthopedics, our goal is to help you achieve the highest level of function as quickly as possible so that you can once again enjoy your favorite activities. Highly Trained and Experienced Orthopedic and Physiatry Specialists Our highly trained and experienced orthopedic and physiatry specialists use leading edge technology to diagnose your problem and then discuss your treatment options with you. Most often, we initially recommend conservative treatment since functional restoration can be achieved with non-surgical intervention (see Physiatry Treatments) in up to 80 percent of cases. In other cases, when surgery is clearly required, our experts will use the least invasive surgical procedure available to achieve your desired outcome. Some of the surgical procedures we offer are arthroscopic surgery and total joint replacements for hips, knees and shoulders. If your hip has been damaged by arthritis, a fracture or other conditions, even walking or getting out of a chair may be painful and difficult. Your hip may be stiff, too, making it hard to put on your shoes and socks. You may even feel uncomfortable while resting. If medications, changes in your everyday activities and the use of walking supports do not adequately relieve your symptoms, hip replacement surgery may be an option. Hip replacement surgery is a safe and effective procedure that can relieve your pain, increase motion and help you get back to enjoying everyday activities. When is it time to consider a total hip replacement? Hip pain limits your everyday activities (walking, bending or putting on your shoes). Hip pain persists while you are resting. You cannot move or lift your leg due to stiffness. Anti-inflammatory drugs, physical therapy, changes in everyday activities and walking supports do not relieve your symptoms. Your hip has been damaged by arthritis, a fracture or other conditions. Hip replacement surgery can relieve your pain, increase motion and enable you to once again enjoy everyday activities. What is the success rate of total hip replacement surgery? 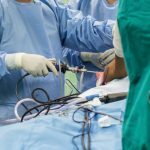 Since 1960, when the hip replacement surgery first began, joint replacement surgical techniques and technology have greatly improved, making it one of the most successful operations in medicine. According to the Agency for Healthcare Research and Quality, more than 300,000 total hip replacements are performed annually in the United States. Who is a candidate for total hip replacement surgery? Recommendations for surgery are based on a patient’s pain and disability, not age. Though patients who have total hip replacements are usually between ages 50 and 80, orthopedic surgeons evaluate patients individually. What is involved in a total hip replacement? Removing the damaged femoral head and replacing it with a metal stem that is placed in the femur’s hollow center; the stem may be cemented or “press fitted” into the bone. Placing a metal or ceramic ball on the upper part of the stem to replace the damaged femoral head. Removing the damaged cartilage surface of the socket and replacing it with a metal socket; screws or cement may be used to hold the socket in place. Inserting a plastic, ceramic or metal spacer between the new ball and the socket to create a smooth gliding surface. How long does total hip replacement surgery take? The procedure takes a few hours, and you will likely be in the hospital for a few days. After surgery, you will feel some pain, but your surgeon and nurses will provide medication to make you as comfortable as possible. When you feel less pain, you can start moving and get your strength back more quickly. Walking and light activity are important to your recovery. Most patients who undergo total hip replacement begin standing and walking with the help of a walking support and a physical therapist the day after surgery. In some cases, patients begin standing and walking on the day of surgery. A physical therapist will teach you specific exercises to strengthen your hip and restore movement for walking and other daily activities. Most people who undergo hip replacement surgery experience a dramatic reduction of hip pain and a significant improvement in their ability to perform daily living activities. Other realistic activities after total hip replacement include unlimited walking, swimming, golf, driving, hiking, biking, dancing and other low-impact sports. Over time, the material between the head and the socket of every hip replacement implant will begin to wear, even with normal activity. Excessive activity or extra weight can speed up normal wear, causing the hip replacement to loosen and become painful. Thus, high-impact activities (running, jogging, jumping or other high-impact sports) should be avoided. With appropriate activity modification, hip replacements can last for many years. Arthroscopy is a common surgical procedure which enables your surgeon to view inside your knee joint using a small camera. This helps him or her diagnose and treat your knee problems. Arthroscopy is done through small incisions. During the procedure, your orthopedic surgeon inserts the arthroscope (a small camera about the size of a pencil) into your knee joint. The arthroscope sends the image to a television monitor so that your surgeon can see your knees’ structures in great detail. Your surgeon can use arthroscopy to repair or remove damaged tissue by inserting small surgical instruments through other incisions around your knee. Almost all arthroscopic knee surgery is done on an outpatient basis. Recovery from knee arthroscopy is much faster than recovery from traditional open knee surgery. Unless you have a ligament reconstruction, you should be able to return to most physical activities within 6 to 8 weeks. Higher impact activities may need to be avoided for a longer time. If your job involves heavy work, it may be longer before you can return to your job. Your surgical outcome will likely be determined by knee’s degree of damage. For example, if the articular cartilage in your knee has worn away completely, then full recovery may not be possible. You may need to change your lifestyle by limiting your activities and finding low-impact exercise alternatives. More than 90% of people who have total knee replacement surgery experience a dramatic reduction in knee pain and a significant improvement in their ability to perform daily living activities, but total knee replacement will not allow you to do more than you could do before you developed arthritis. With normal use and activity, every knee replacement implant begins to wear in its plastic spacer. Excessive activity or weight may speed up this normal wear and may cause the knee replacement to loosen and become painful. Therefore, most surgeons advise against high-impact activities, such as running, jogging, jumping or other high-impact sports for the rest of your life. Realistic activities following total knee replacement include unlimited walking, swimming, golf, driving, light hiking, biking and other low-impact sports. With appropriate activity modification, knee replacements can last for many years. Most patients begin exercising their knee the day after surgery. In some cases, patients begin moving their knee on the day of surgery. A physical therapist will teach you specific exercises to strengthen your leg and restore knee movement to allow walking and other normal daily activities soon after your surgery. To restore movement in your knee and leg, your surgeon may prescribe a continuous passive motion (CPM) exercise machine that slowly moves your knee while you are in bed. Some surgeons believe that a CPM machine decreases leg swelling by elevating your leg and improves your blood circulation by moving the muscles of your leg. You will likely be able to resume driving when your knee bends enough that you can enter and sit comfortably in your car and when your muscle control provides adequate reaction time for braking and acceleration. Most people resume driving approximately 4 to 6 weeks after surgery. Improvement of knee motion is a goal of total knee replacement, but restoration of full motion is uncommon. The motion of your knee replacement after surgery can be predicted by the range of motion you had in your knee before surgery. Most patients can expect to be able to almost fully straighten the replaced knee and to bend the knee sufficiently to climb stairs and get in and out of a car. Most people also feel or hear some clicking of the metal and plastic with knee bending or walking. This is a normal. These differences often diminish with time, and most patients find them tolerable as compared with their pain and limited function before surgery. Every year, thousands of conventional total shoulder replacements are successfully done in the United States for patients with shoulder arthritis. However, this type of surgery is not as beneficial for patients with large rotator cuff tears who have developed a complex type of shoulder arthritis called “cuff tear arthropathy.” For these patients, conventional total shoulder replacement may result in pain and limited motion, and reverse total shoulder replacement may be an option. A conventional shoulder replacement device mimics the shoulder’s normal anatomy: a plastic “cup” is fitted into the shoulder socket (glenoid), and a metal “ball” is attached to the top of the upper arm bone (humerus). In a reverse total shoulder replacement, the socket and metal ball are switched; the metal ball is fixed to the socket, and the plastic cup is fixed to the upper end of the humerus. on the deltoid muscle, instead of the rotator cuff, to power and position the arm. Who are candidates for a reverse shoulder replacement? A shoulder replacement usually takes about two hours. Your surgeon will make an incision either on the front or the top of your shoulder. He or she will remove the damaged bone and then position the new components to restore function to your shoulder. Most patients are able to eat solid food and get out of bed the day after surgery, and you will probably be able to go home on the second or third day after surgery. For the first several weeks after your surgery, it will be hard to reach high shelves and cupboards. When you come home from the hospital, you will need help with some daily tasks, such as dressing, bathing, cooking and laundry. Within a few weeks after surgery, you should be able to eat, dress and groom yourself. After rehabilitation, you will likely be able to lift your arm to just above shoulder height and bend your elbow to reach the top of your head or into a cupboard. Reverse total shoulder replacement provides outstanding pain relief, and patient satisfaction is typically very high. Torn rotator cuff surgery usually involves re-attaching the tendon to the head of humerus (upper arm bone). A partial tear, however, may need only a trimming or smoothing procedure called a debridement. A complete tear within the thickest part of the tendon is repaired by stitching the two sides back together. You have significant shoulder weakness and loss of function. Many surgical repairs do not require you to stay overnight in the hospital. What are the three most common techniques for rotator cuff repair? Open Repair – A traditional open surgical incision (several centimeters long) is often required if the tear is large or complex. The surgeon makes the incision over the shoulder and detaches the shoulder muscle (deltoid) to better see and gain access to the torn tendon. During an open repair, the surgeon typically removes bone spurs from the acromion’s underside. All-Arthroscopic Repair – During arthroscopy, your surgeon inserts a small camera, called an arthroscope, into your shoulder joint. The camera displays pictures on a television screen, and your surgeon uses these images to guide miniature surgical instruments. Because the arthroscope and surgical instruments are thin, your surgeon can use very small incisions (cuts), rather than the larger incision needed for standard, open surgery. All-arthroscopic repair is the least invasive method to repair a torn rotator cuff and is usually an outpatient procedure. Mini-Open Repair – The mini-open repair uses newer technology and instruments to perform a repair through a small incision, typically 3 to 5 cm long. This technique uses arthroscopy to assess and treat damage to other joint structures. Bone spurs, for example, are often removed arthroscopically. This avoids the need to detach the deltoid muscle. Once the arthroscopic portion of the procedure is completed, the surgeon repairs the rotator cuff through the mini-open incision. Your type of repair depends on the size of your tear, your anatomy, your tendon tissue and bone quality and your surgeon’s experience with a procedure. Each surgical repair technique has similar results in terms of pain relief, improvement in strength and function and patient satisfaction. Your surgeon’s expertise is more important in achieving satisfactory results than the type of technique. Rehabilitation plays a vital role in getting you back to your daily activities. A physical therapy program will help you regain shoulder strength and motion. Most patients have a functional range of motion and adequate strength by 4 to 6 months after surgery. Expect a complete recovery to take several months. Although it is a slow process, your commitment to rehabilitation is vital to a good outcome. Orthopedic surgeons use arthroscopy to inspect, diagnose and repair joint problems. During shoulder arthroscopy, your surgeon inserts a small camera, called an arthroscope, into your shoulder joint. The camera displays pictures on a television screen, which your surgeon uses to guide miniature surgical instruments. Because the arthroscope and surgical instruments are thin, your surgeon can use very small incisions rather than the larger incision needed for open surgery, resulting in less pain, shorter recovery time and a faster return to favorite activities. Your doctor may recommend shoulder arthroscopy if you have a painful condition that does not respond to nonsurgical treatment, such as rest, physical therapy and medications or injections that can reduce inflammation. Inflammation is one of your body’s normal reactions to injury or disease. In an injured or diseased shoulder joint, inflammation causes swelling, pain and stiffness. Injury, overuse, and age-related “wear and tear” are responsible for most shoulder problems. Shoulder arthroscopy may relieve painful symptoms of many problems that damage the rotator cuff tendons, labrum, articular cartilage and other surrounding soft tissues. What are the most common arthroscopic procedures? Most arthroscopic procedures take less than an hour; however, the length of your surgery will depend on what your surgeon finds and what repairs are required. If you are generally healthy, your arthroscopy will most likely be performed without an overnight hospital stay. 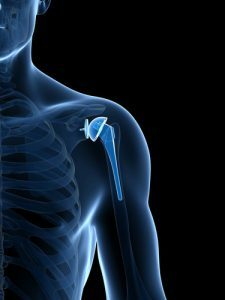 First, your surgeon will inject fluid into the shoulder to inflate the joint, making it easier to see all your shoulder’s structures through the arthroscope. Then your surgeon will make a small puncture in your shoulder (about the size of a buttonhole) for the arthroscope. Fluid flows through the arthroscope to keep the view clear and control any bleeding. Images from the arthroscope are projected on the video screen, showing your surgeon the inside of your shoulder and any damage. Once the problem is clearly identified, your surgeon will insert other small instruments through separate incisions to repair it. Although recovery from arthroscopy is often faster than recovery from open surgery, it may still take weeks for your shoulder joint to completely recover. An exercise program will help you regain shoulder strength and motion. Your surgeon will develop a rehabilitation plan based on the surgical procedures you required. If you have had a more complicated surgical repair, your surgeon may recommend a physical therapist to supervise your exercise program. It is important that you make a strong effort at rehabilitation for your surgery to succeed. Although it can be a slow process, following your surgeon’s guidelines and rehabilitation plan is vital to a successful outcome. Although shoulder joint replacement is less common than knee or hip replacement, it is just as successful in relieving joint pain. Shoulder replacement surgery was first performed in the United States in the 1950s to treat severe shoulder fractures. Over the years, shoulder joint replacement has come to be used for many other painful conditions of the shoulder, such as arthritis. Today, about 53,000 people in the United States have shoulder replacement surgery each year, according to the Agency for Healthcare Research and Quality. When is it time to consider shoulder joint replacement? Failure to substantially improve with other treatments, such as anti-inflammatory medications, cortisone injections, or physical therapy. 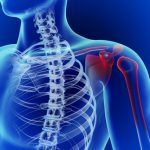 Are there different types of total shoulder replacements? Yes, there are different types of shoulder replacements. Shoulder replacement surgery is highly technical and should be performed by a surgical team with experience in this procedure. Your surgeon will discuss which type of replacement would best you’re your needs. Stemmed hemiarthroplasty – Depending on your shoulder’s condition, your surgeon may replace only the ball, a procedure called a hemiarthroplasty. In a traditional hemiarthroplasty, the head of the humerus is replaced with a metal ball and stem, similar to the component used in a total shoulder replacement. Studies show that patients with osteoarthritis get better pain relief from total shoulder arthroplasty than from hemiarthroplasty. Resurfacing hemiarthroplasty – Resurfacing hemiarthroplasty involves replacing the humeral head joint surface with a cap-like prosthesis without a stem. With its bone preserving advantage, it offers those with shoulder arthritis an alternative to the standard stemmed shoulder replacement. For patients who are young or very active, resurfacing hemiarthroplasty avoids the risks of component wear and loosening that may occur with conventional total shoulder replacements in this population. Reverse Total Shoulder Replacement – Reverse total shoulder replacement is used for people who have 1) Completely torn rotator cuffs with severe arm weakness; 2) Cuff tear arthropathy; or 3) Have had a failed shoulder replacement. In reverse total shoulder replacement, the socket and metal ball are switched. This allows the patient to use the deltoid muscle instead of the torn rotator cuff to lift the arm. How long does a shoulder replacement procedure take? For the first several weeks after your surgery, it will be hard to reach high shelves and cupboards. When you come home from the hospital, you will need help with daily tasks like dressing, bathing, cooking, and laundry for a few weeks. Most patients are able to perform simple activities such as eating, dressing and grooming within 2 weeks after surgery. Driving a car is not allowed for 2 to 4 weeks after surgery. What are some do’s and don’ts after surgery? Don’t use your arm to push yourself up in bed or from a chair because this requires forceful contraction of muscles. Follow the home exercises prescribed for you. You may need to do them 2 to 3 times a day for a month or more. Ask for assistance. Your physician may be able to recommend an agency or facility if you do not have home support. Avoid placing your arm in any extreme position, such as straight out to the side or behind your body for the first 6 weeks after surgery. Many thousands of patients enjoy improved quality of life after shoulder joint replacement surgery, including less pain, improved motion and strength and better function. Doing the right things and avoiding the wrong things will help ensure you get the result you want! When it comes to arthritis, you are not alone. It is the nation’s most common cause of disability, limiting the activities of 22.7 million Americans. There is no cure for arthritis, but many treatments are available to help relieve the pain and the disability that it can cause. In 95 percent of cases, non-surgical treatment is sufficient to relieve pain and improve function. Surgery only becomes necessary when non-surgical treatment fails to provide relief. Over-the-counter anti-inflammatory medications can be used to control pain and inflammation in the joints. Some of these anti-inflammatory drugs are aspirin, ibuprofen, and naproxen. Acetaminophen can also be effective in controlling pain. Prescription medications also are available. A physician will choose a medication by taking into account the type of arthritis, its severity, and the patient’s general physical health. Patients with ulcers, asthma, kidney, or liver disease, for example, may not be able to safely take anti-inflammatory medications. Cortisone injections into the ankle joint may temporarily help to relieve pain and swelling. It is important to know that repeated, frequent injections into the same joint can cause damage and undesirable side effects. Exercise and physical therapy – Certain exercises and physical therapy may be used to decrease stiffness and strengthen the weakened muscles around the joint. Learning methods of performing daily activities that are the less stressful to painful joints also may be helpful. Canes, crutches, walkers, or splints may help relieve the stress and strain on arthritic joints. Fusion surgery locks the ankle joint into a fixed position and offers predictable relief. It may result in prolonged “non-weight bearing” healing time of 2 to 4 months. Joint replacement enables motion and also offers predictable pain relief. It allows for “non-weight bearing” healing time, typically 2-6 weeks. Total Ankle Replacement (TAR), also called ankle arthroplasty, involves replacing the damaged joint with an artificial joint. TAR greatly improves function for people who cannot perform everyday activities without having severe pain. This surgical option enables people to resume physical activities, including non-impact activities and sports, such as driving, golfing, walking, hiking, swimming and dancing. Twenty-six percent of all ankle surgeries are total ankle replacements. Protective “bunion-shield” pads can help cushions the painful area over the bunion. Pads can be purchased at a drugstore or pharmacy. Be sure to test the pads for a short time period first; the size of the pad may increase the pressure on the bump. This could worsen your pain rather than reduce it. Over-the-counter or custom-made orthotics and other devices can take pressure off your bunion. Toe spacers can be placed between your toes. In some cases, a splint worn at night that places your big toe in a straighter position may help relieve pain. Applying cold packs or ice several times a day for 20 minutes at a time can help reduce swelling. Do not apply ice directly on your skin. Nonsteroidal anti-inflammatory medications, such as ibuprofen and naproxen, can help relieve pain and reduce swelling. Other medications can be prescribed to help pain and swelling in patients whose bunions are caused by arthritis. Stand during the fitting process and check that there is adequate space (3/8″ to 1/2″) for your longest toe at the end of the shoe. Make sure the ball of your foot fits well into the widest part (ball pocket) of the shoe. Avoid narrow, pointed shoes that squeeze the toes. Bunion Surgery: When Is Surgery Necessary? Your doctor may recommend bunion surgery if you have pain and difficulty walking despite changes in footwear and other nonsurgical treatments. Bunion surgery involves removing the unwanted bony growth and realigning the bone, ligaments, tendons and nerves so that the big toe can be brought back to its correct position. Although many bunion surgeries are done on a same-day basis with no hospital stay, a long recovery is common after bunion surgery. The goal of treatment for Charcot arthropathy is to heal the broken bones and prevent further deformity and joint destruction. Immobilize the foot with a cast – Casting can reduce stress and protect the foot and ankle. It is very effective in reducing the swelling and protecting the bones. Custom shoes – After the initial swelling has decreased and the bones begin to fuse back together, a specialized custom walking boot or diabetic shoe may be recommended. The specialized shoe is designed to decrease the risk of non-healing foot wounds. Some diabetics may not be able to wear regular, over-the-counter shoes because they do not fit the deformed foot correctly. Surgery may be recommended if the foot deformity puts the patient at a high risk for ulcers or if protective shoe wear is not effective. Unstable fractures and dislocations also require surgery to heal. Achilles tendon lengthening surgery can correct mild deformity with tightness at the heel. Surgically lengthening the tendon that runs down the back of the leg and attaches to the back of the heel decreases the pressure on the midfoot and front of the foot. This allows the ulcer to heal and reduces the chance that it will return. Surgery to address the appearance of a very large bony bump on the bottom of the foot. The type of surgery depends on the stability of the bones and joints in the foot. Surgery involves removing the prominent bone by shaving it off. Surgery to fix fractures that occur in the softer bone of diabetic patients are typically more complex. It generally involves more hardware (plates and screws) than would normally be required in people without diabetes. The screws and plates may even be placed across normal joints to provide added stability. Charcot of the ankle surgery requires surgical fusion of both the ankle and the joint below the ankle (subtalar) to hold the foot straight. Medication may be an option for treatment of PVD or surgery may be necessary. Some surgical options include surgery to removed dead tissue, vascular bypass surgery or stenting. The goals of surgery are to stabilize the damaged joint; stop the progression; and, if possible, help you regain some of the lost function. When Should You See a Foot and Ankle Specialist?